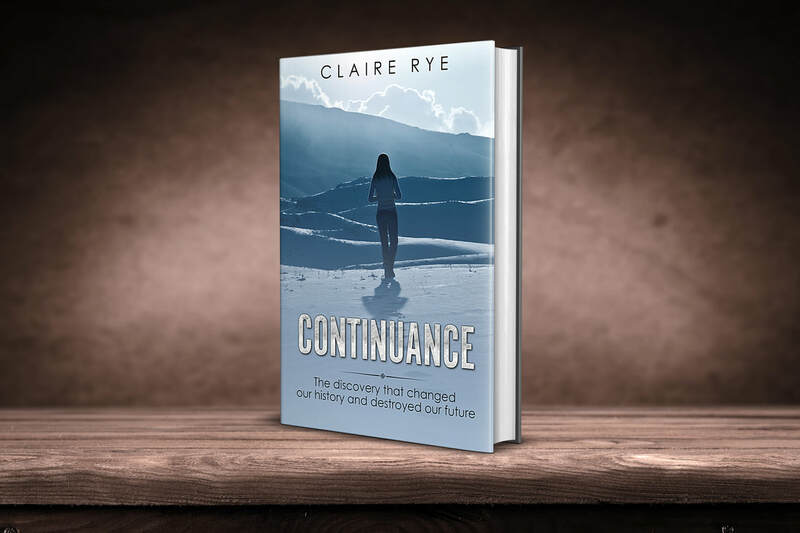 Then why not read my first story "Continuance"
My watering eyes begin to focus on the imposing concrete wedge in front of me; it bursts out of the snow, like an office building that had crash-landed into the side of a mountain. Three stories of concrete covered with a chandelier style glass roof. A dramatic design in an undramatic location. I start to wonder at the logistics of a building in such a remote and cold area. My thoughts are interrupted by a dramatic speech being delivered by an overly enthusiastic man standing beside me. “Before you is the future of our species, the last chance for the existence of life, the only hope for the continued evolution of this planet and all that it contains. A doomsday salvation, an apocalyptic refuge… You are about to enter the future birthplace of humanity… Are you ready”? Trying to make the best impression I can on my first day at work, I turn towards him, give a stern and considered look and firmly reply “yes” while internally rolling my eyes and trying to hide my agitation at the delay in getting us out of the freezing wind. Finally after a dramatic pause, the doors swing open and I am disappointed to see a very long, cold and very boring corrugated iron tunnel heading deep into the mountainside …. Birthplace of the future of humanity? Really? And with this anti-climactic start, my role in the story that will disprove theories, question common ideals and alter mankind’s thinking forever …. Has begun. One thousand three hundred kilometres north of the Arctic Circle is the Government’s Global Seed Vault and it is the world's largest secure seed storage vault. Crates of seeds are sent there, from all over the globe for safe and secure long-term storage in cold and dry rock vaults. The aim of the Seed Vault is to preserve the vast genetic variation in crops, worldwide. Each seed sample is potentially of great benefit to farmers, researchers and processors, as they supply food to an increasing world population. The Global Seed Vault (TGSV) is a worldwide insurance project for the food supply of future generations and in the event that the ecosystem is destroyed, will enable a new beginning. Some call it “the doomsday vault” a dramatic term for a rather straightforward and practical place. But I must admit, that when asked where I work, I do, on occasion reply “the doomsday vault”. The look on critics faces makes up for the immediate lack of interest when I start to explain what I mean. A typical day at work is long, repetitive and cold, freezing cold. The vault is kept at a constant 18 degrees below zero and is designed for a virtually infinite lifetime, which ironically, is what some days can feel like. By building the vault 130 meters into the rock and 130 meters above sea level the facility is robustly secured against external hazards, variations of climate and also against anything of interest or excitement. The vaults themselves, three large tombs at the end of a long tunnel, look more like a police evidence room than a global conservation effort. Inside a large cage there are basic library style shelves filled with crates and postal boxes. A rather uninspiring description of a worldwide collaboration that downplays the amazing efforts of my employer but believe me it is accurate. I do remind myself daily that the work they are doing here is important and one day may prove invaluable, but the overheated ridicule that society has directed towards us seems to be more of a threat that the far-fetched and alarmist idea of the end of humanity. It’s been 30 years since the opening of the vault in 2008 and with the successful deflection of the “extinction level event” (ELE) aka the earth destroying meteor ELE001 in 2019 and so, humanity feels invincible. We now control all of the threats of climate change and have a prosperous and sustainable future ahead of us. Long gone is the belief that we are a fragile and insignificant existence on a tiny planet, this sort of thinking is no longer relevant. We are the masters of our destiny; we have controlled our world and influenced the universe around us. Deep space travel, a dream when the vault was first opened, is now a commonplace and the novelty of discovery is a previous generation’s thrill. So why on earth would we need a “backup plan” in the form of a global seed vault? Most of my time is spent with the founder of TGSV, Edward Lloyd. He is well past retirement age but works harder and longer than anyone on staff. His long silver hair and tall skinny frame gives him the look of a mad scientist. It suits him. His determination and conviction that realised the dream of a global seed program has all but left him now, but his passion and excitement in his “doomsday vault” has not deteriorated at all. Nor does his belief that we do actually need one. The first of half my 10-hour shift is spent listening to his story of TGSV’s heyday. When people were full of enthusiasm and interest, and when TGSV was a real beacon of hope. The second half is spent alone, going about duties on autopilot and smiling as I replayed our conversations in my head. The many hours I spent wandering the tunnels and triple checking locks and monitoring air quality along with statistic data that never changes, has given me time to reflect on just how the hell I got here. How I ended working on the side of a mountain 14,333 kilometres from home, where the highlight of my day is sharing a coffee with the mad scientist. Far South to Far North. My story to this point is not an extraordinary one. Born and bred in Australia, with a normal upbringing, no great successes and no desperate disadvantages. Middle class and now middle-aged I am so average I am a baseline. Average weight, average height, average looking and now, thanks to this new job, average income. I used to have a well-paid job with the Department of Meteorology and Science (DOMAS), spending most of my adult life working through the ranks from office clerk to digital service analysis; I had no time for children and no time for personal relationships. Some people would say I am lonely and childless, but in reality I am single and childfree - there is a difference. The “one world” policy introduced 3 years earlier meant that business, trade and currency went global. No borders meant no boundaries or so the slogan said and with this “fair and equal” way of doing business, came some not so fair, and not so equal changes, one of which, was my employment. One world meant that my role with DOMAS was no more. The computer-generated face from my “employment status update” video message sounded far too positive for my liking. “Your long history with the department means that you will be offered plenty of new and exciting opportunities”, I guess they thought bad news would be better received if I had no real person to blame. But real people make this decision, real people are affected, and I blame the real people. The aforementioned no children and no partner meant that all the ‘exciting new opportunities’ I had on offer where in remote and isolated regions. Ranging from the far East to the far West to the far South! I have an interest in biology and I fare better in cold weather than hot, so on that simple and limited selection criteria I accepted the position in the far south, that of “operations support member” at the Global Seed Vault. The girl from an island continent 5,250 kilometres from the South Pole took a job 2,102 kilometres from the North Pole. So here I am, Charlotte Rose, literally sitting on top of the world, although some days I didn’t really feel that way. A notification on my computer screen tells me a memo has arrived. “Genetic basis? Should the selection be on more than just a bank balance … and besides if everything is destroyed, how are we going to clone DNA?’” I enquired. “World goes bang, we keep ya thangs”, I teased. The things he said had a much deeper meaning than the light-hearted banter had suggested. The decision to expand would indeed, change everything. The site for the GSV was decided on because of many things, one of which was the fact that the mountain that surrounds the site is full of natural caverns, the huge hollow areas seemed perfect to house the vaults. First attempts to penetrate into the caverns failed, as did the second and third attempts. With a tight timeframe and pressure to deliver “on time” the decision was made to create our own hollows on top of the natural phenomenon. A disappointment at the time, but in light of the recent decision to expand, a blessing in disguise. More money and more time will mean the extra effort can be taken to blast through to the natural caves underneath and use them to realise the original concept. From the memo to the first day of the new project was only a matter of weeks. Clearly indicating that the idea of expansion and the plan to find additional funding had been in the planning stage for much longer than I, or anyone in the crew, had realised. The memo was merely an FYI, a formality and in such, reminding me I was not really a part of the team of decision makers but really just a worker for them. Edward always made me feel inclusive, made me feel like my opinions count. They didn’t, and I sometimes wished he wouldn’t make me feel like they do. Reality is a downer. The first day of the new project was an explosion of people. My boring menial days were now busy and full of activity. Trying to move all our stock to a temporary vault was bad enough but to keep them at constant temperature with a stable humidity was proving stressful. 25 people to move the samples and 1 person to keep a full account of them, who had authorised this?! Complaining was not an option, well for a start I had no time to. So on with the job. What felt like a lifetime but turned out to be only 9 days later and the vault was clear and ready to be used as the new construction headquarters. I’m sure it was all very busy and important, but I was not a witness to most of this, I was primarily located at the temporary vault making sure all our efforts at removal and storage was not going to waste. Occasionally I would visit the old site, which was rapidly turning into the new site. Exciting. Breaking through to the new area below was proving as difficult as predicted, but the extra money invested and modern machinery was making some headway... Slowly. The crew was very much use to breaking rock in this region and the construction of the original GSV meant they were familiar with the formation of this particular mountain. They didn’t seem to be alarmed, focusing more on the how than the why. No-one stopped nor cared to understand why this natural formation was here. I guess a brief idea of maybe some volcano activity a few thousand years ago, or a possible water basin that eroded soft material and left only the toughest of material for the shell was briefly mentioned but the fact remained, it was there and we needed to get in and without tangible progress, heads will roll. I protested a little more by summarising all the ‘amazing co-incidences’ of our secondary tomb and I noticed Edward starting to nod, he was agreeing with me! “Yes yes, maybe she is right, this is a little suspicious. It is a little ‘too perfect’ like she says. The team seemed a little more receptive to Edward than me, but rather than completely ignore him like they did me, they acknowledged his points and then completely ignored him. Well, look at that, I thought. Respect buys time, but doesn’t change outcomes. It wasn’t until much later that Edward confessed he didn’t actually agree with me, he was just trying to lend weight to my agreement to help create the appearance of tension, drama. Apparently this makes for better TV and better TV means more viewers, more viewers equals more money, and well you can fill in the rest from there can’t you. So my moment of glory was no more than a rating stunt. Lesson learnt. A thud of air hits my chest, I feel that maybe I shouldn’t have accepted Edwards offer to be “front row” to the biggest non-military explosion in the northern hemisphere. An involuntary gasp of air escapes me and Edward turns and faces me, he has the smile of a satisfied and excited child. I muster a reassuring grin. Half my attention is with him and the other half is making sure the whole mountain isn’t about to implode on top of us. The mountain holds firm and a mixture of relief and excitement takes over the room. The explosion was bigger than I thought, louder than I expected and, after the fear wears off, much more exciting than I could imagine. My apprehension of the ‘too perfect’ scenario is gone. Vast caverns in nature are completely normal and the earth is the greatest natural insulation. Of course they would insist on this place, and if I wasn’t so suspicious and cynical I would have too. Time to stop wondering why and start to enjoy the gift we were given. My self-talk pays off and I start to believe it is a great time to be part of this team. Suddenly the boredom and isolation of my jobs seem worthwhile. Congratulations are plenty when it is confirmed that the explosion was not only textbook correct but also successfully destructive - Finally we have access, in a few hours the explosive after-effects will have settled, Air quality will have stabilised. The engineers will give the all clear and I, Edward plus his excited team of geologists will be the first to explore our new and improved vault site. Before me stands a handsome young man. He is dressed like a cross between a storm trooper and a 1950’s spaceman. It would be almost comical if it wasn’t actually so necessary. He clears his throat and makes an announcement. I almost half expected a combined shout of “YES SIR” but instead there were a few mumbles of agreement a half-hearted ‘yep clear’ from the back of the crowd. His captive audience is made up of geologists, hydrologists, biologists, surveyors, engineers, and scientists plus of course me, the token civilian. The decision was made to exclude the documentary crew from the first deployment. There were a lot of tests and safety measure that needed to be carried out before we invited a whole production crew in and the team of experts agreed the added pressure of being filmed was unnecessary. I wasn’t the first to be lowered down into the cavern, in fact I was the second last, but this gave me the advantage of having a fully lit up area to descend to. All the safety gear was set up and a dozen people with their organised chaos were just about ready to explore. I am dangling in the air like a baited fish hook, gently swinging while I am lowered ever so slowly towards the group of people below. The drop to the floor is only about 15 feet but still enough to make me feel uneasy, so I look up instead. The bright light from the car-size hole in the ceiling gives me no reassurance, I can’t see faces, I can barely make out the shadows of people and I can’t see any detailed of the area surrounding them. I shift my focus to the carven, it seems more structured than I had pictured in my mind The walls are smooth, the floor is remarkably even, the dimensions of the space are symmetrical, the whole area is about the size of a small sports oval, except it is square. “A square cave” I whispered to myself, the feeling of the ‘too perfect’ dread returns. I’m not a speleologist but I don’t think nature would create a square cave, would it? I look down at the people who would know the answer and there seems to be no concern or alarm and since I am the only person in this square cave without a bunch of letters after their name I am not about to question why, but the doubt remains. 3 hours in the cave and I am bored. The novelty has worn off and all I can see is the hard work ahead. Being the only non-scientist, my job right now is very limited, I am sitting watching others work. I’m not allowed to touch anything or go exploring anywhere alone and I am starting to wonder why I actually even bothered to come down. The cavern feels familiar to me now. I can imagine where to put all the contents. It’s like mentally moving your furniture into a new home and it all fits perfectly. The space is ideal and every area seems to be perfectly allocated for a specific purpose. There would be very little modification needed. We definitely are going to need to excavate the rock and rubble out, and we have to get air filtration and electricity down here but I can see why they were so keen to get into this space. It is ideal. I listen in on a conversation between two serious looking people who are discussing particulars of the excavation process. I learn that thankfully, we are able to get more space because there seem to be layers of soft natural sediment over the bulk of the area. It was very difficult to get into the cavern but apparently once in, we have an easy task of clearing it all out. My stomach grumbles and I am acutely aware of how hungry I am. Excellent excuse to leave and go and find something more productive to do with my time. As I scan the area for someone who can get me a lift back up and out of this pit of boredom, Edward approaches me looking strangely serious. He is puzzled, which is a look I don’t often see on him. I smile at him but he doesn’t smile back. “Yeah it’s a square cave” I offer with a smile. “More advanced? How? Is this a vault from the future” I puzzled. “How old” my interest peaks. “2.4 million years old” I repeated it back with a thick hint of scepticism “modern man evolved 1.8 million years ago, Edward” I pointed out, still disbelieving. “So we have a vault from the future that was built 2.4 million years in the past? Edward have you been drinking”? I asked sarcastically. “Yes, I know and that’s right. That’s why I am confused”. He replied in a worried voice. A discovery was made below the current global seed vault (GSV) of a much older yet more advanced vault. Preliminary carbon dating has indicated that this vault was built approximately 2.4 million years ago. The secondary GSV is of a technology that would indicate a far more advanced species of humans than that which has evolved to date. Perfectly preserved Genetic material gathered from the site conclusively proves that the engineers of this vault are human and of the same origin/species as modern day humans. Several theories have been proposed to explain how this could have occurred and the following was deemed – by scientific consensus - to be the most plausible explanation. 13.8 billion years ago the universe was created by the widely accepted “big bang theory”. From this point to current humankind, some 13.6 billion years, it was incorrectly assumed that evolution and natural selection occurred as a prerequisite to modern humans. The discovery of the new genetic material indicates that humankind evolved much faster than previously thought and reached the peak of evolution some 5 million years ago. The previous evolution of humans had over 3 million years advancement on the current evolution we know today and thus were far more advanced in knowledge and capabilities. Humankind was the primary species in existence from that time up until 2.4 million years ago when an unknown occurrence caused their extinction. It is believed that the vault was built with the knowledge of this event and both biological and organic samples were stored in an indestructible sealed chamber. This chamber did have the capabilities to support life for a limited timeframe but unfortunately the small group of residents expired shortly after the vault was sealed. It is then believed those 500,000 years after the first evolution extinction the most recent evolution of humankind began and resulted in our current state of being. The GSV project is aware that in light of this new found knowledge there will be an undertaking to review and revise current theories of ancient architecture, civilisation and cultures, and believes that this new theory of evolution will help to reveal answers to unexplained anomalies in the fields of archaeology, anthropology and evolutionary Biology. Edward had discovered the Pandora’s Box of biology. Knowing that we aren’t the first to evolve and certainly aren’t the most evolved in history really shook humanity to its core. Being the secondary line of humankind raises more questions than gives answers. Religious groups, continue to deny evolution regardless of whether we are the first or the second and they amended their interpretation of the scriptures to include “god” as the unexplained event that causes our first extinction and the fact that God created and then re-created man in his image. Alien conspiracy theorist, whose primary evidence of extra-terrestrial life was advanced signs of civilisation from an ancient time were now struggling to find support leading to wild and ridiculous stories of extra-terrestrials and humans sharing a world together and an alien world war resulted in the obliteration of both life forms. Most biologists were accepting of the results from the GSV number 1. Slightly embarrassed by the evidence of being wrong all this time but mostly excited by the prospect of exploring and discovering the new theory and connecting all the new dots. Scholars had very in-depth theoretical decisions on whether this was the first creation of the universe. Taking the whole notion of secondary evolution right back to creation. Was this even the first big bang? And just like humanity, had the universe been created and destroyed before? The psychic community were offering a new service in ‘first evolution past –life’. Hypnosis was used to remember your first evolution life and how it affects you now. Even psychologists and counsellors were booked solid for months while the more sensitive souls tried to come to terms with the fact that we are no better than the dinosaurs. A huge and dominating life form that occupied earth for a micro-second of time. Society as a whole had an immediate and unquenchable thirst for everything and anything to do with “the first evolution”. Not so much the biological implications or even the evolutionary path was taken but a more practical application. What did they wear? How did they live? Did they have laser guns and flying cars? I wondered if they had learnt more than we had. They were further evolved, yes, but where they further advanced? Did they live with the earth or on the earth? Did they follow a faith of love or bloodshed? Where they custodians or conquerors? And what constituted as power – money or compassion? Everyone had their questions and it seemed the most important ones could not be answered by science. “You have to make them see this is wrong Edward, are you ready for this?” I nervously asked. “Yes, and don’t worry, they will agree with me” he answered confidently. He believed scientists would make decisions that were best for humanity and I believed scientists would make decisions that would advance science. Let’s see who was right. I watched him enter the Global Science meeting – he was there to discuss the cloning of biological material found in the first evolution vault. The large group of experts were split 50/50 as to whether to allow all the biological material from the vault to be cloned. Farmers, environment groups and public opinion had squashed the idea of growing the organic materials. The obvious problems with unknown plants and crops being introduced to our already fragile ecosystem, the potential spread of disease and impact on the food chain could be an uncontrollable biohazard. People could easily understand the implications. The implications of the biological material was more complicated no one really expected it would ever come to this, most people thought the notion of cloning would not be considered but a well-paid campaign gain momentum and that lead to an open discussion on the benefits of being able to access human DNA a million years more advanced than our own. These highly evolved stem cells would offer a renewable source of replacement cells and tissue to treat almost all known disease and ailments. When people realised that muscular degeneration, spinal cord injury, burns, heart disease, diabetes, arthritis were all in the firing line then public opinion started to sway in favour of cloning. Edward is well respected and much liked. He also had a good case against cloning and was surprised that the cloning discussion had gone this far. So many potential problems with resurrecting plants from the first evolution, imagine the consequences of introducing people and animals from an unknown evolutionary path. When is the development of cells considered life? Are we creating something just to conduct experiments and then terminate it? Did they carry and were they affected by strands of bacteria that could kill us, or in turn would a modern virus kill them? What about the practical implications of an introduced species, an alternative strand of people being bred for our curiosity. What would become of the people we are cloning? Living in a world hundreds and thousands of years after their existence but a million years less advanced. I stretch out on my couch watching Edwards’s final television appearance in his quest to convince officials and the public that First evolution cloning should not go ahead. It’s been 6 months of constant media interviews and committee appearances. Edward has been relentless in his campaign. He found the Pandora’s Box of biology and he was determined to make sure no-one opened it. “But the public are curious” his interviewer protests. He is being passionate, informative and charming but it is clear he is losing the battle to stop cloning. I cling to hope, but unfortunately it is starting to fade. Tonight the final decision will be made in a closed-door meeting, the fact that Edward and his media pack are excluded from the meeting is a strong indication of which way the decision will be going. My phone buzzes, I know its Edward, he always rings to see what I think of every broadcast. “I’m not even watching it” I announce without formalities. Edward isn’t in the mood for jokes: “I have let everyone down, the cloning is going ahead. They are going to make the announcement tomorrow. “Under the funding agreement, if the committee gets enough votes, they can and they have made that decision”. “I’m coming with you, I’ll quit! They can’t get away with this. What do you want me to do Edward, I’ll do it”. “If you are willing, I want you to be my inside person. We can bide our time. These sorts of project take years to get funding and even longer to get political approval. Plus I imagine they will need trials and reports to satisfy the regulatory body. They will be held accountable and will need to cover themselves at all time. That all takes time and money. They won’t be at the full cloning stage for 5 or more years and during that time we can dig away at them, from the inside. Leak information about failed attempts, problems they experience, doubts any of the scientists have. I have kept you out of the spotlight for a reason. They won’t suspect you and if they do, you leave immediately and apply for whistle-blower protection”. The FECRACP has secured unlimited funding and bipartisan approval to proceed and will be conducting this self-regulated project with full support. Within 12 months we will be able to launch the highly anticipated ‘Adam and Eve’ project with planned expansion of this genetic line in the following years. The press release made us all rethink our plan. The FECRACP now has unlimited funding and unlimited powers. Self-regulation meant that they would answer to no-one and to openly admit to human cloning of the first evolution within 12 months proved they were confident nothing would stand in their way. “The individuals may be smart enough to understand, but the collective are a bunch of mindless idiots!” I threw my two cents worth in. Anger turned to sadness, as it inevitably does and during the week between the announcement and Edwards planned departure, he shares nothing with me. It was very much out of character. His mood seemed to be artificially normal. Going about his business and making no waves, just accepting his fate. I tried to keep our momentum going, trying to keep up the fight but every time I questioned him about what we were going to do, the answer was always the same. “It’s over Charlotte, let it go”. I am worried but decide to give him space hoping that the fire that got him this far wasn’t fully extinguished. If I hadn’t known better I would think that Edward had simply given up. But I do know better, I know Edward, he is bold and he is brave. He won't take this lying down. My intuition tells me that it isn’t over and I always trust my intuition. “I’m going to the vault to collect my things” Edwards’s deflated voice signals the end of our fight. “Edward, you know I’m not going to do that” I laughed “we are a team, you’re the beauty, and I’m the brains” I teased. Knowing he would not convince me otherwise he surrenders and together we head out to the army truck to take us for our final trip to the vault. Edward shows no emotion during our journey there, I try to fill the silence with nervous chatter but I can tell he is a million miles away. Was he reminiscing, thinking of the past and what he had achieved or was he thinking of the future? The uncertain future before us? As I open my mouth to ask, we arrive and I never get the answer. I wait at the entrance to the vault with a large number of soldiers standing beside me who look way too serious for such a boring and low-key mission. I am looking down the ramp at Edward, gathering his belongings as instructed, he moves slowly and methodically, he looks up at me and gives a reassuring wink, and I smile back. I lean against the wall and start thinking about how drunk we should both get tonight. Out of the corner of my eye I see Edward turn as he triggers the main compartment door to open, exposing the chamber that contains all the biological samples from the first evolution. The soldiers realise well before I do what is about to happen and lunge towards Edward. Confused, I turn to the men who are guarding me, a rush of hot air thrusts my hair forward followed immediately by a blast that propels me towards my guards. I love this time of the day, the sun is low in the sky, the air is thin and freezing, my lungs appreciate every rush of fresh air and my body is warm under the thermal layers I have become accustomed to. I sit alone, staring at the beauty of the nothing that surrounds me, my chair leans against Edward’s global seed vault door and I suddenly realise that I am sitting at the exact spot he gave his ‘birthplace of humanity’ speech on the day we met. The memory of that first day brings half a smile to my mouth as I press a hot cup of chocolate against my lips sucking up a half-melted marshmallow with delight and relief that the sweetness and heat brings. Isn’t it funny how humanity has a way of settling itself into a routine very quickly? In the 6 months after the destruction of the first evolution vault, there was a lot of debate and chaos surrounding what was lost, what we gained and who was to blame. Edward was the hero, the victim, the terrorist, the saviour. Twenty-four hour news coverage of the event dwindled, hastily published books and articles repeated what was already known and people started to feel a sense of normality with the once-shocking revelation. Just like the world wasn’t flat, the earth isn’t the centre of the universe and now we aren’t the first evolution of humans. I look down at the tablet beside my chair, and as to almost prove my point an ad flashes up with “prices this low not seen since the first evolution! !” I guess it’s just all a part of history now. The rumble is closer now, I can make out the outline of the aircraft making the noise. It’s modern, very modern actually. Something military maybe, looks like it could be a space going craft but domestic as well. Weird. The aircraft is right in front of me now but the rumble from the engines is no louder than when it was out of view. It hovers over the ground momentarily, the blasts from its jets barely making dust. Very Weird. The shuttle has landed, the engines are off and as I wait with a fixed smile for the doors to open. I notice there aren’t any doors? Confused I scan the exterior looking for the seam of an opening. Nothing. Confusion turns to apprehension and my heartbeat starts to accelerate when the facing wall of the shuttle dissolves into thin air and exposes a brightly lit, highly advanced interior of a spaceship, I can see a small crew group standing there, their identity shadowed by the harsh backlight. Without warning something materialises from the floor of the ship, it’s a holographic staircase that joins the ground with no sound or impact. Now I am frozen with fear. A life form appears, humanoid. Tall, maybe 6 foot 5, solid build. My eyes dart over its form, hands, face, body, I think it is human, but more advanced, with skin so pale it is almost translucent. It has an androgynous look, the pants and long sleeve shirt it wears is unisex and doesn’t reveal any more detail of gender. It makes its way down the stairs, stepping on the holographic image that can now support its weight. Its dark green eyes are fixed on me the whole time It doesn’t look scared, but wary. Almost on edge. Suspicious. It delivers its corny catchphrase with perfect comedic timing. I laugh out loud, my fear evaporating with our shared humour. “We heard you found our vault. We do not come in peace”.